The PeopleSoft Billing Module is used for generating customer invoices for the goods or services sold by an organization. You can create manual invoices or get data from various other modules to create customer invoices. 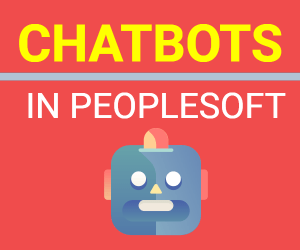 PeopleSoft provides number of batch processes that can be used to automate the entire invoicing process. One of the most important batch processes is ‘Single Action Invoice’. Invoice Number Id: There are number of ways you can define Invoice number format in Billing. For example: In below setup we have defined one Invoice number Id for adjustment as IN-FIX-0000000124 i.e. IN and FIX are static part of Invoice Id and next 10 digits will increment by one number every time a new bill will be created. Distribution Code: With the help of distribution code setup, we can setup a pre-defined collection of ChartField values and assign it to a particular distribution code. Whenever that code will be used, system will automatically populate those ChartField values for that transaction. Discount and Surcharges: Generally, we have seen the use of discounts and surcharges applied to invoices based on business requirement. 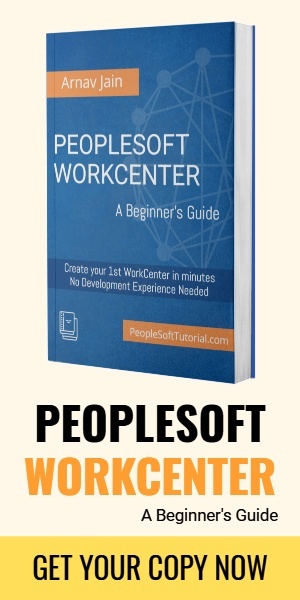 In PeopleSoft it can be easily setup as shown below. It can be done as a fixed amount or the percentage of total amount. In following example, we are setting up a discount of five percent for any new customer. You may have noticed the use of distribution code as ‘Discount’. It will decide the nominal and other attributes which will be used in the final transaction to book the discount expense. Billing Business Unit: One of the important questions is when to create a separate Billing Business Unit (BU). You may need to define a new billing BU if it represents a separate entity that needs to maintain its own invoices or a separate location, business line etc.